This week, Gov. Andrew Cuomo is submitting his $170 billion budget package to the state legislature. According to a Press-Republican report, the governor intends to use revenue from sports betting to help close a $3.1 billion fiscal gap. There’s not much new in those Cuomo’s speech words by themselves. New York already has a 2013 law on the books which authorizes the upstate casinos to offer sports betting to patrons on site. Lawmakers tried to provide those guidelines last year, running a few relevant bills up the flagpole. 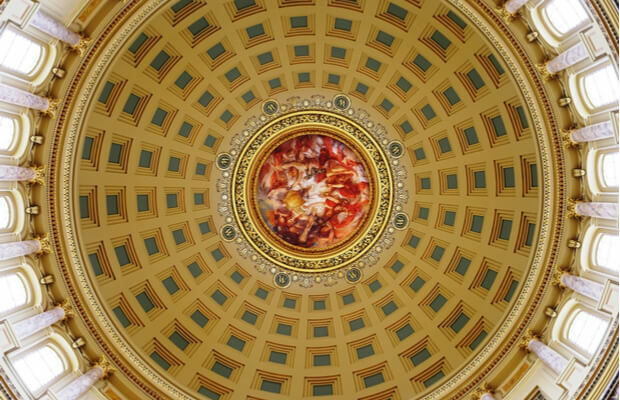 None of them caught on, but renewed efforts are underway in the 2019 session. Sen. Joseph Addabbo has pre-filed a New York sports betting bill which matches a failed 2018 effort from his predecessor, Sen. John Bonacic. The inclusion of NY sports betting in the state budget could be a signal that one of those bills is actually going to stick. Even if no new laws are passed, Cuomo’s sign-off might be enough to spur the commission into action in 2019. And the comments from Mujica muddy all these waters considerably. What is next for NY sports betting? The next logical questions surround the implementation Cuomo and the commission have in mind. Will the framework really exclude the state’s struggling horse racing industry? Online and mobile sports betting appear to be off the table for now, but could a separate legislative effort materialize this year and end up on the ballot? And will the integrity fee from the Addabbo bill appear in regulatory language? Tribal compacts also allow casinos owned by the Oneida and Seneca to offer the same forms of gambling as their commercial counterparts. The Oneida have begun making their own plans for sports betting, signing a landmark deal with Caesars earlier this month. Whether or not any of these plans can be implemented hinges fully on the actions of lawmakers and policymakers in the coming months. State law requires the budget to be in place by April 1. ← Previous Story Does The New Wire Act Memo On Online Gambling Have A Legal Leg To Stand On?